Yarn Type The prettiest and girliest member of the great quality, great value Hayfield Essentials range. It has a sparkly blend of 97% Acrylic and 3% sparkly silver Polyester and comes in a girly range of glittery colours. 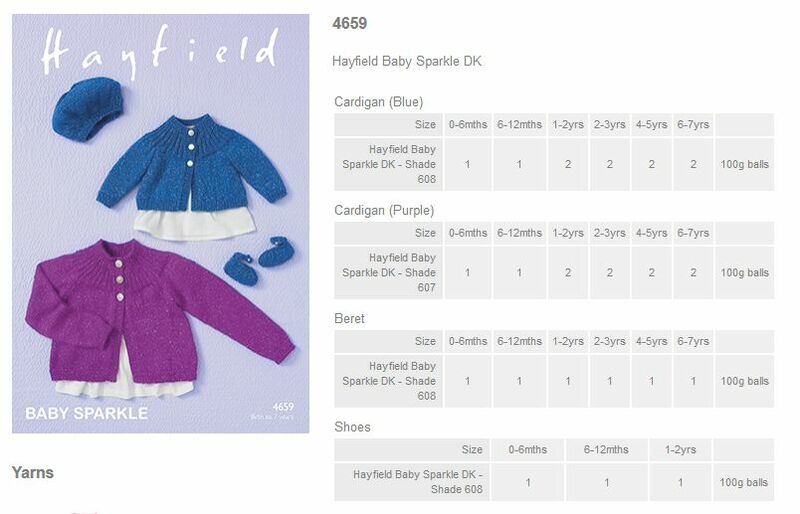 Hayfield Baby Sparkle is machine washable and creates the most perfect knits to wear with party dresses. Machine Washable/wool cycle. Leaflet with designs for a Cardigan, Beret and Shoes using Sirdar Hayfield Baby Sparkle DK. Leaflet with designs for a Fan, Feather & Leaf Blanket, and Eyelet Pattern Blanket using Sirdar Hayfield Baby Sparkle DK. 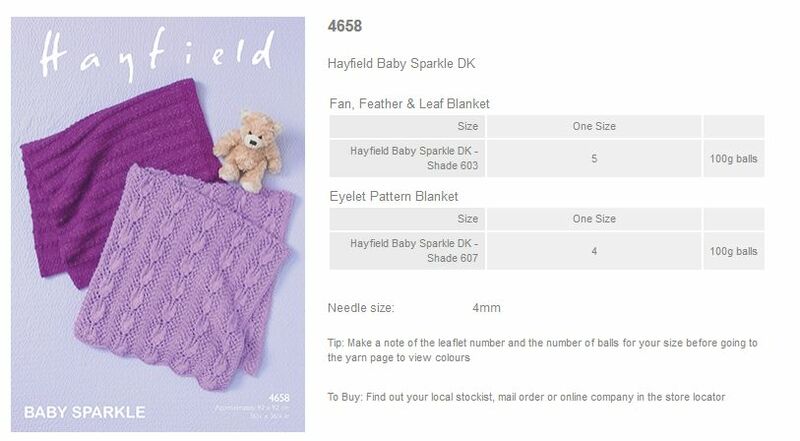 Leaflet with designs for Tops and Blanket using Sirdar Hayfield Baby Sparkle DK. Leaflet with designs for Cardigans and Heart using Sirdar Hayfield Baby Sparkle DK. Leaflet with designs for Cardigans and Bunny using Sirdar Hayfield Baby Sparkle DK.